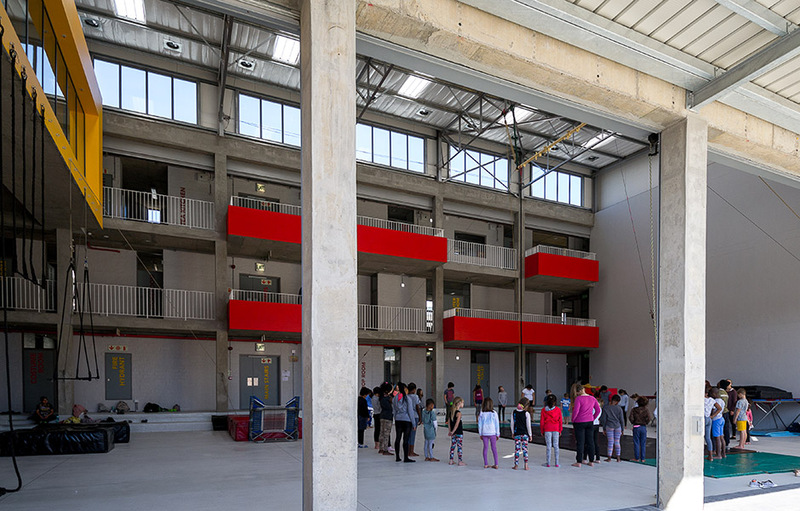 Can a building be a catalyst for alternative education? 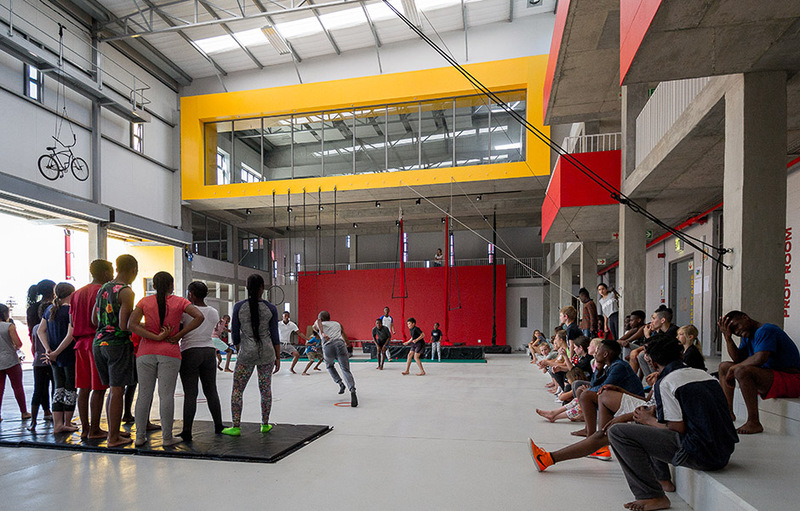 The Zip Zap Circus School has offered free circus performance training to children and youth since 1992, using circus arts and performance as tools for social transformation, youth empowerment, team building and community upliftment. 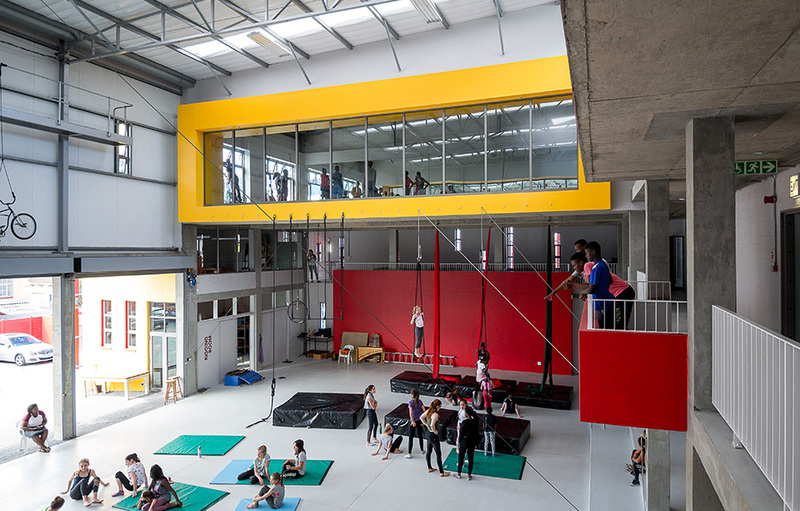 Many Zip Zap alumni have performed internationally, and the school is supported by the legendary Cirque De Soleil company, who arrange regular exchange programmes. For years, the school has operated in a temporary tented structure on leased land. But the tent is not conducive to a teaching environment: noise levels are high, and classes cannot be adequately separated. 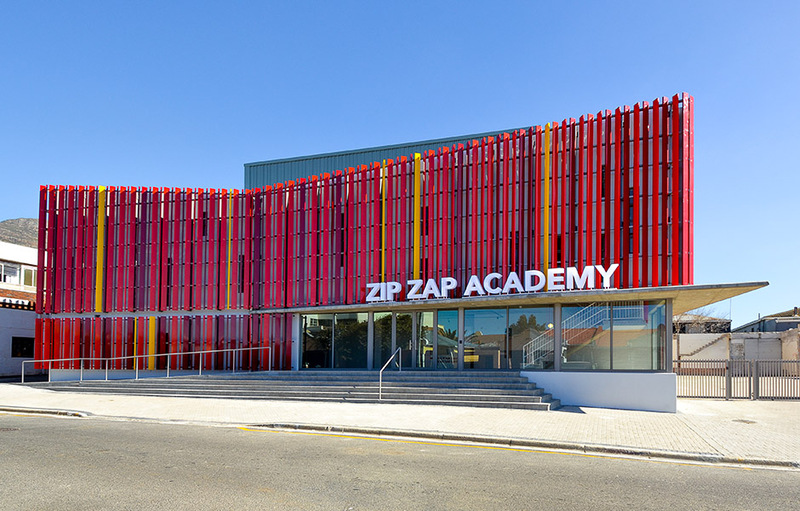 Zip Zap has long dreamed of having a permanent home, with separate classrooms and its own trapeze hall. This dream has become a reality. 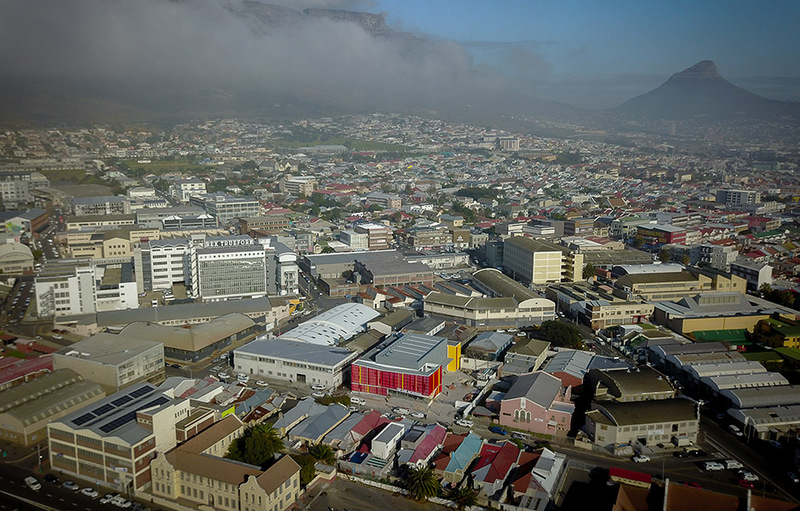 With the help of their sponsors, the school has bought a site in industrial Salt River. 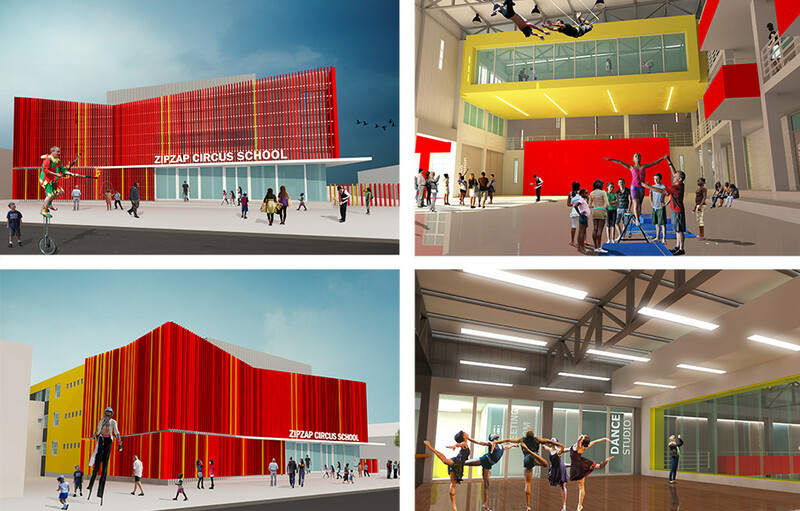 Working with the site conditions to define the massing and orientation, our proposal also aims to capture the essence of the three inherent architectural typologies of the project: the circus, the theatre and the school. 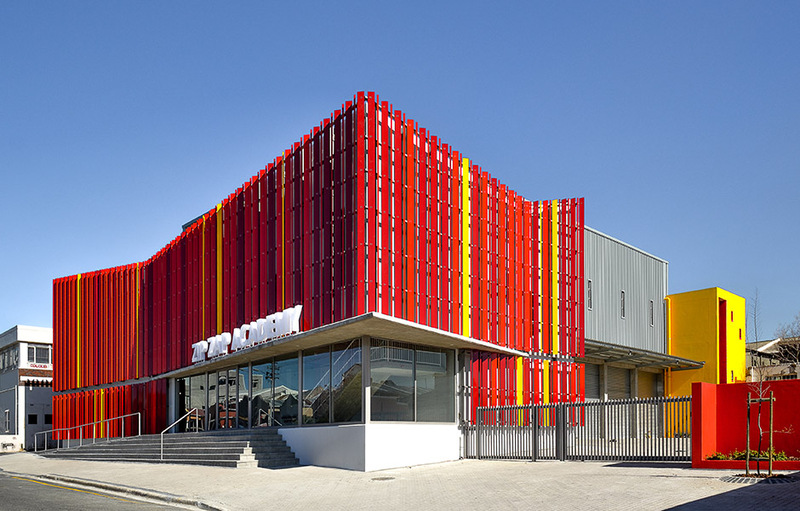 • To capture the magic of circus, the street facade is designed to reflect the traditional iconic circus tents with the goal of generating maximum visual impact. 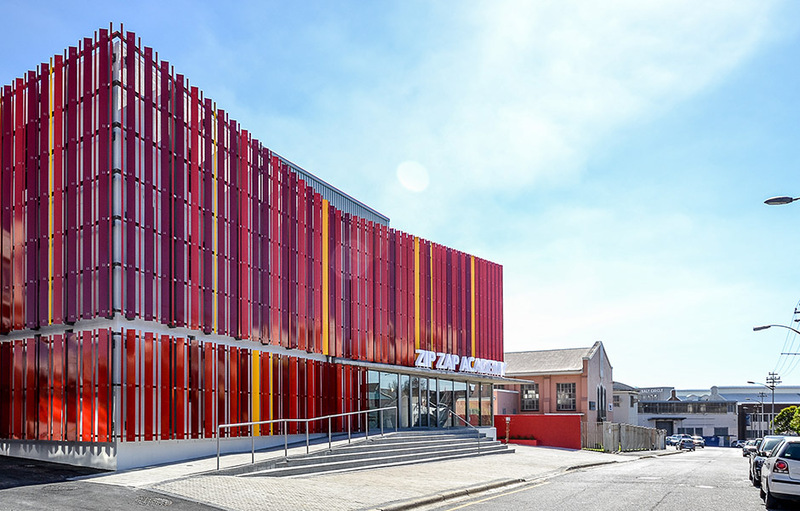 • The building’s dynamic angular form, clad with a big, brightly coloured aluminium screen, generates a sense of excitement and inspires the children upon entry. 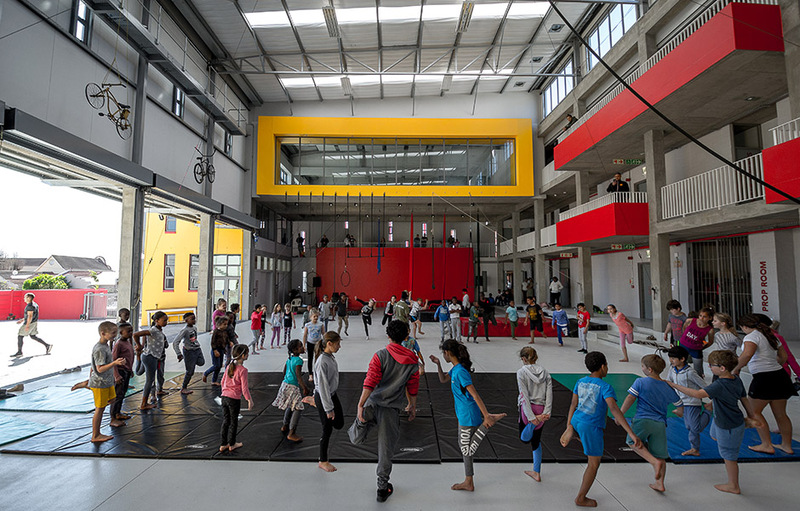 • The street edges of the building are treated with care in order to create an user-friendly urban environment to be shared by circus students and the local community alike. 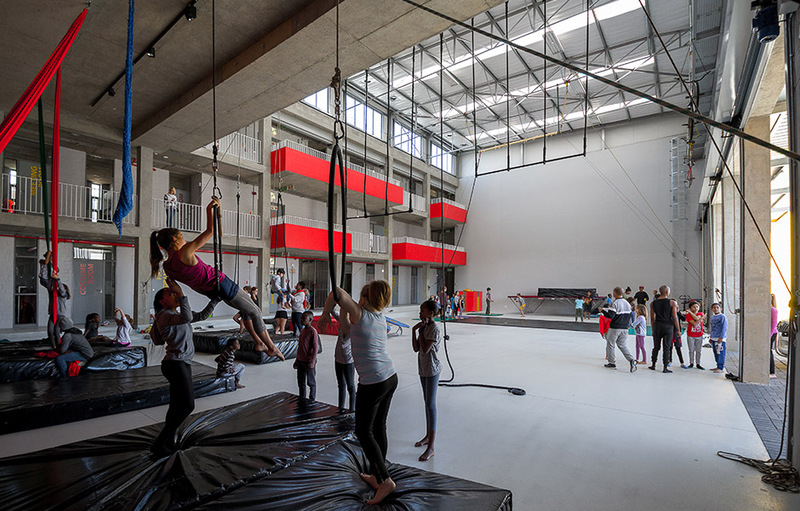 • The school is arranged like a theatre to highlight the drama and excitement of circus training. 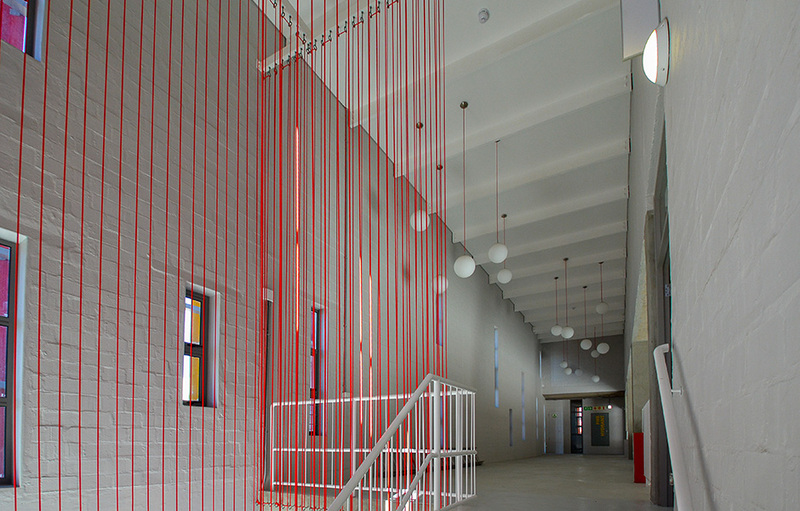 • The triple volume Trapeze Hall takes centre stage. 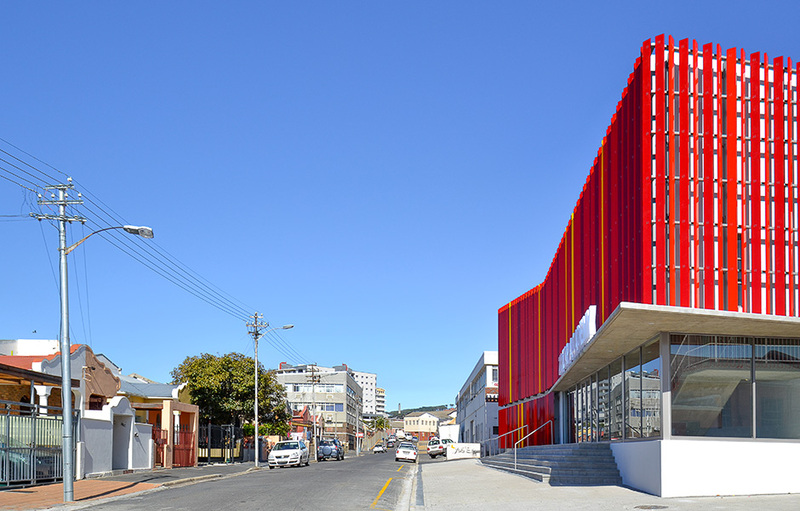 It is surrounded by the u-shaped school building in a layout that is reminiscent of a theatre auditorium with viewing balconies and royal boxes. 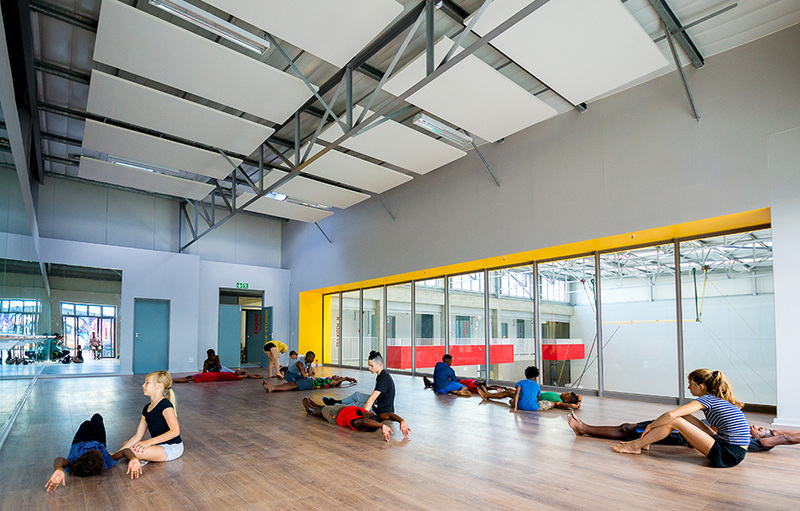 • The multifunctional training spaces can be adapted to host a wide range of performances and events. 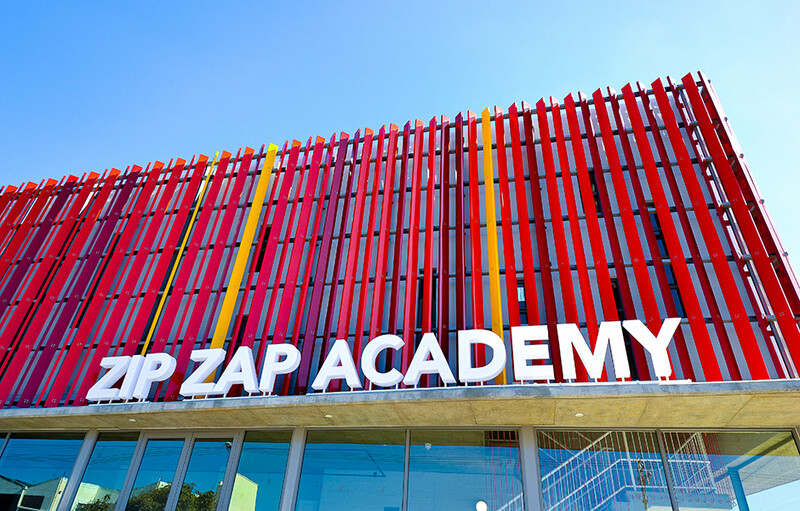 • Zip Zap’s goal is to provide an alternative learning opportunity that will empower children through physical activities and self-discovery. 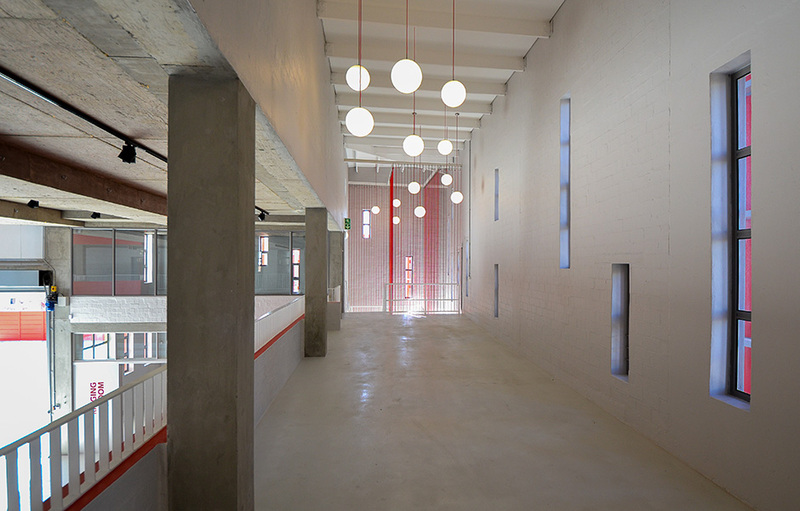 To this end the design included many spatially distinct training spaces and classrooms. 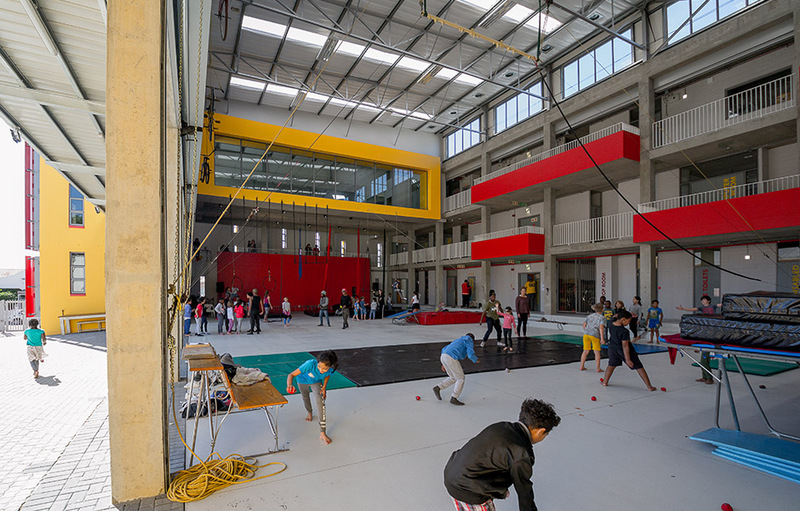 • In order to immerse the children in the full circus experience, all the back-of-house operations are exposed & visible from the trapeze hall. This is achieved by a simple didactic signage system and clear windows to all the rooms. 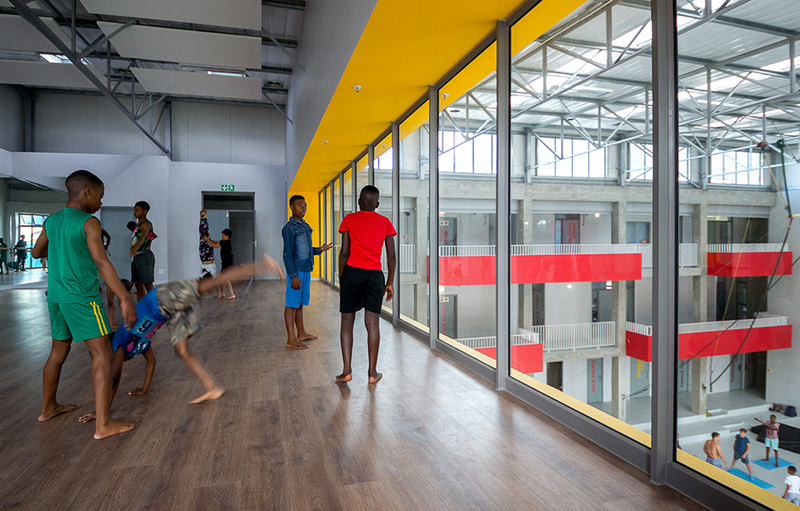 • Using passive design principles, the building is orientated to maximise natural daylight and cross ventilation to all the spaces.